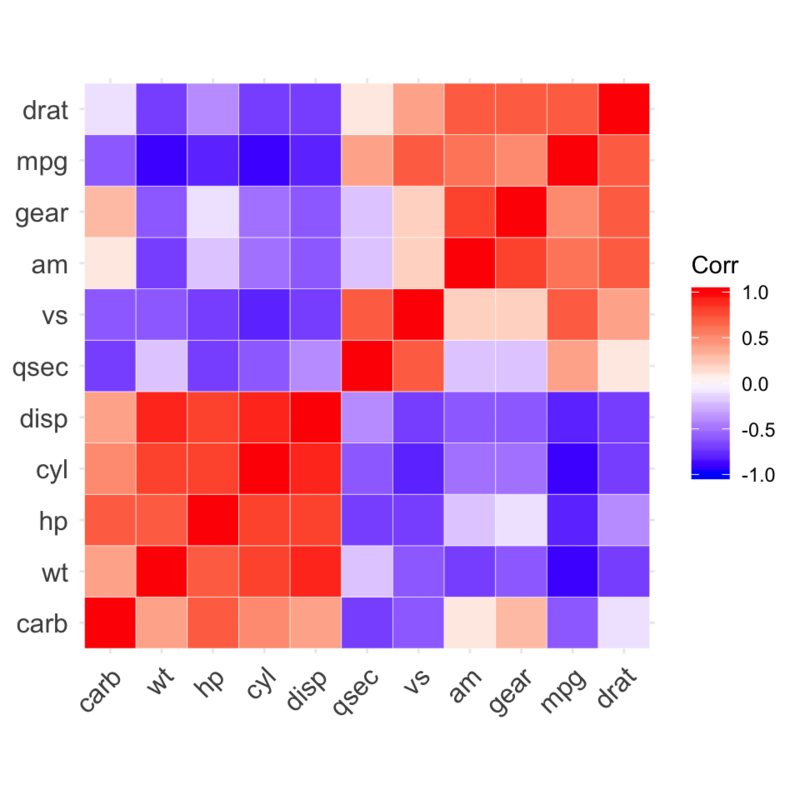 The ggcorrplot package can be used to visualize easily a correlation matrix using ggplot2. 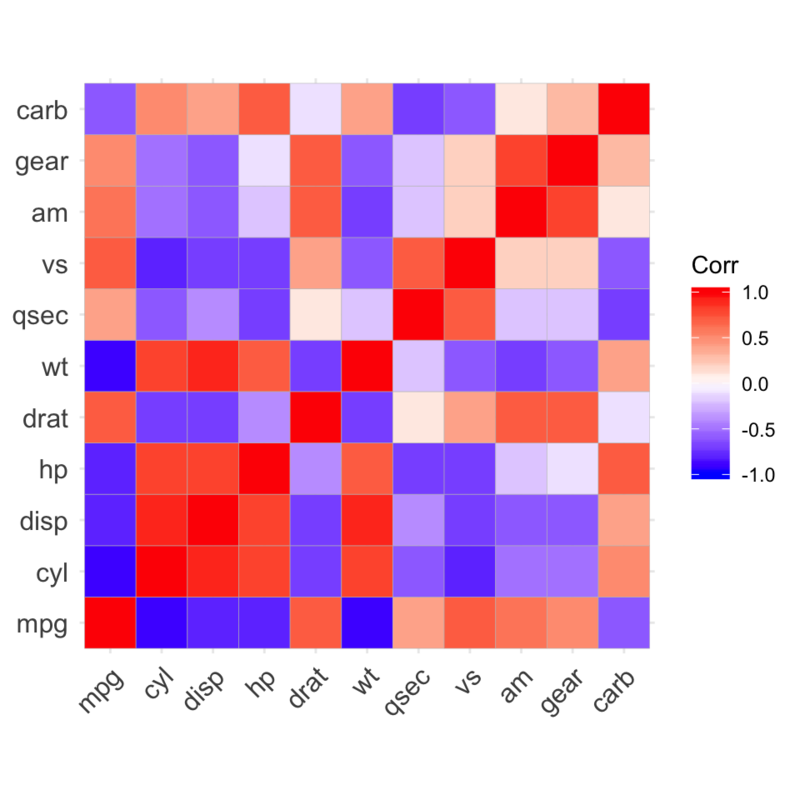 It provides a solution for reordering the correlation matrix and displays the significance level on the correlogram. 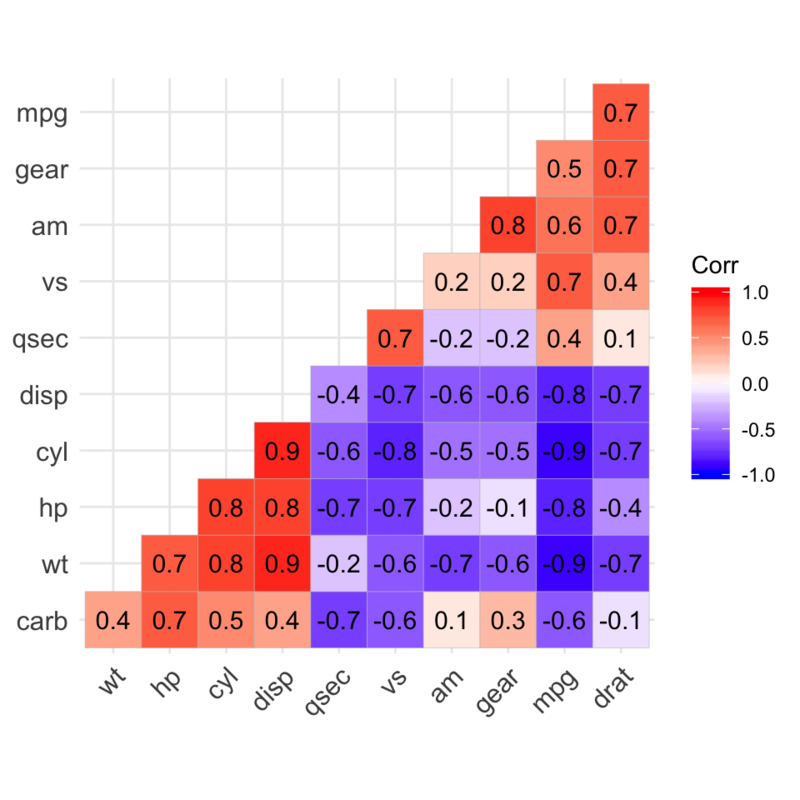 It includes also a function for computing a matrix of correlation p-values. 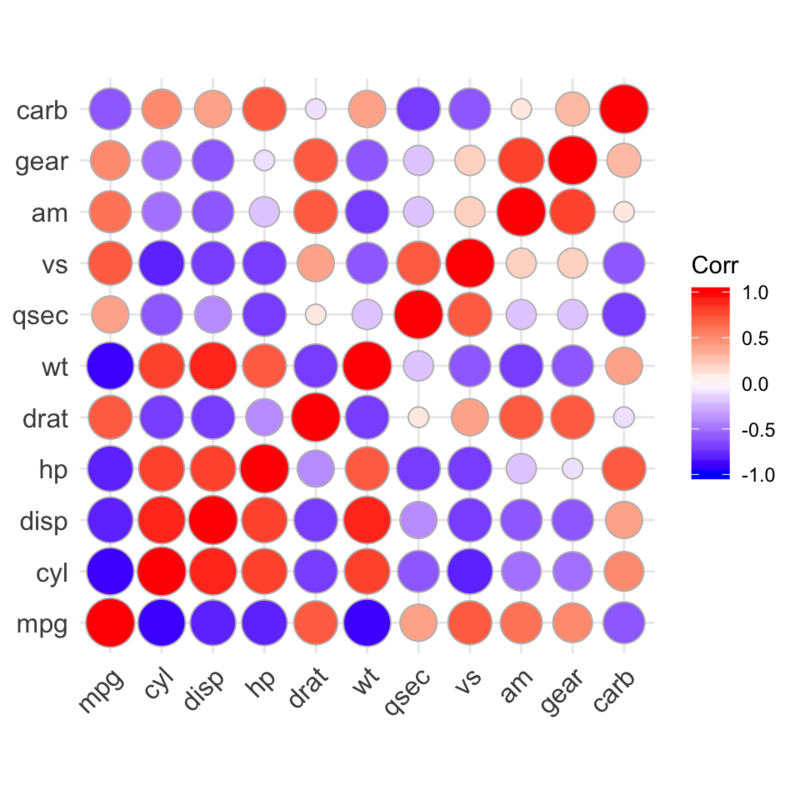 It’s inspired from the package corrplot. Find out more at http://www.sthda.com/english/wiki/ggcorrplot. 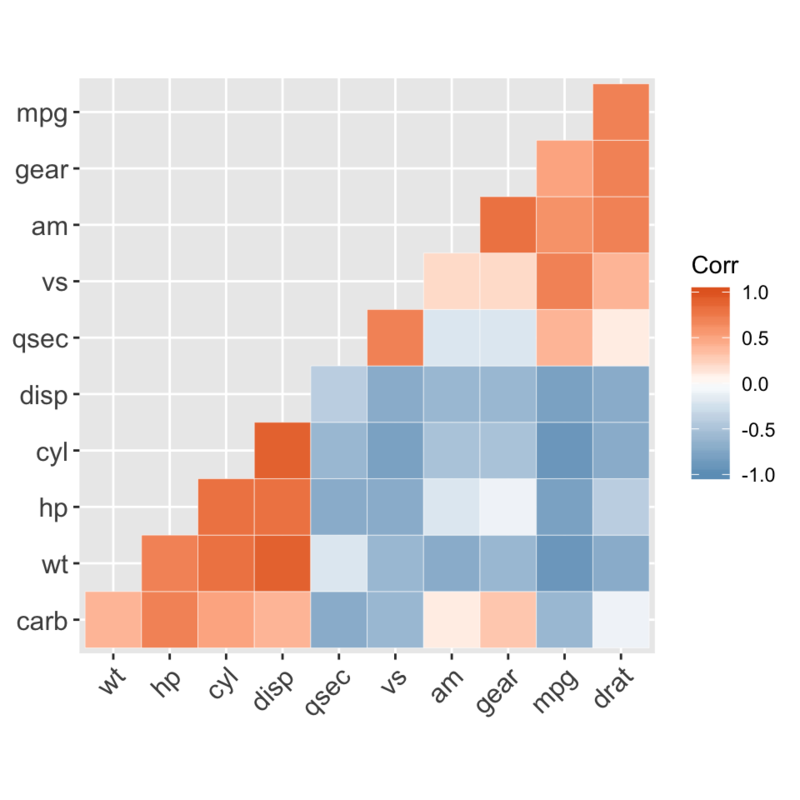 The mtcars data set will be used in the following R code. 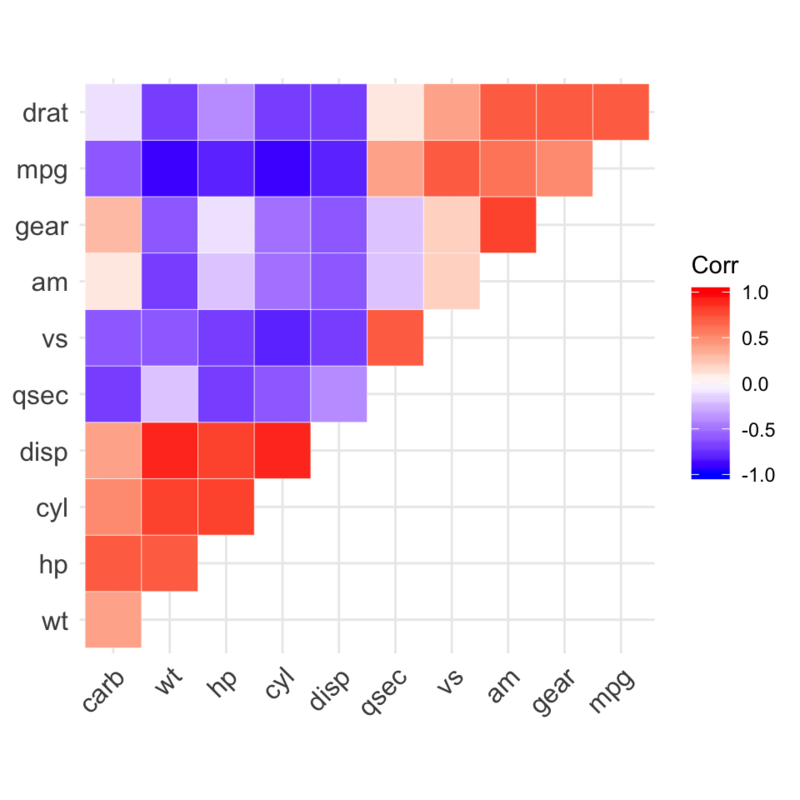 The function cor_pmat() [in ggcorrplot] computes a matrix of correlation p-values.